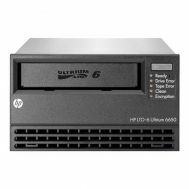 AU300A HP 76.8 TB/153.6 TB Storage Works MSL8048 0drive/48slot Tape Library. Refurbished. 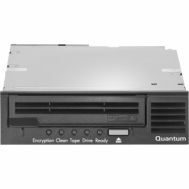 LSC5H-UTDJ-L6HA Quantum 2.5TB/6.25TB LTO-6 FC Scalar I500 Tape Drive Module. New Retail Factory Sealed With Full Manufacturer Warranty. 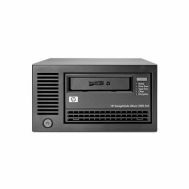 C0H24A HP StoreEver MSL4048 Ultrium 6250 Tape Library LTO Ultrium 6 Rack Mountable. Refurbished. 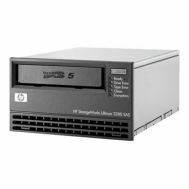 BL534A HP StorageWorks MSL8096 LTO Ultrium 5 Tape Library 4 x Drive/96 x Slot LTO Ultrium 5 144 TB (Native) / 288 TB. Refurbished. N7P35A HP 48/120TB Store ever 1/8 G2 LTO-7 Ultrium 15000 SAS-2 1u Tape Autoloader. New Retail Factory Sealed With Full Manufacturer Warranty. N7P36A HP 6TB/15TB Storeever MSL LTO-7 Ultrium 15000 FC Tape Library Drive Module. New Retail Factory Sealed With Full Manufacturer Warranty. N7P37A HP 6TB/15TB Storeever MSL LTO-7 Ultrium 15000 SAS Tape Library Drive Module. New Retail Factory Sealed With Full Manufacturer Warranty. N7P36A HP 6TB/15TB Storeever MSL LTO-7 Ultrium 15000 FC Tape Library Drive Module. New Bulk Pack. 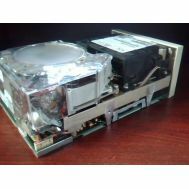 652733-001 HP 800/1600GB ESL Lto 4 Ultrium 1840 FC Drive Upgrade Kit Tape Library Drive Module. Refurbished. 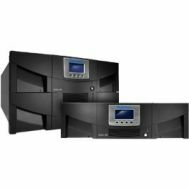 AK380A HP MSL4048 LTO-4 4U SAS 48-Slot Tape Library with 2 HH Ultrium 1. Refurbished. C0H28A HP 2.50TB 6.25 TB Storeever MSL LTO 6 Ultrium 6250 FC Drive Upgrade Kit. New Retail Factory Sealed With Full Manufacturer Warranty. C0H18SB HP 20/50TB Storeever 1/8 G2 Lto-6 Ultrium 6250 SAS 6GBPS RM Tape Autoloader. New Retail Factory Sealed With Full Manufacturer Warranty. LSC1S-UTDJ-L6BA Quantum 2.5TB/6.25TB Lto-6 FC Scalar I40/I80 Tape Drive Module. Refurbished. 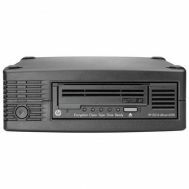 BB873A HP 6TB/15TB Storeever LTO 7 ULTRIUM 15000 HH SAS 6 GBPS INTERNAL Tape Drive. New Retail Factory Sealed With Full Manufacturer Warranty. 35P1264 IBM 2.5TB/6.25TB LTO-6 FC Tape Drive. Refurbished. AJ030A HP 24TB/48TB Msl6030 Storageworks LTO Ultrium 1840 FC RM Tape Library. Refurbished. 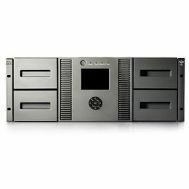 BL541B HP 1/8 G2 Lto-5 Ultrium 3000 Fibre Channel Tape Autoloader. New Retail Factory Sealed With Full Manufacturer Warranty. 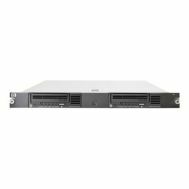 BL541A HP 12/24TB Storageworks LTO 5 Ultrium 3000 1/8 G2 8GBPS FC Autoloader. New Retail Factory Sealed With Full Manufacturer Warranty. C0H18A HP 20/50 TB Storeever 1/8 G2 Lto 6 Ultrium 6250 Sas 6gbps Rm Tape Autoloader. Refurbished. 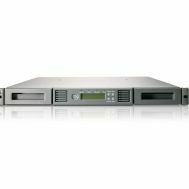 BL541B HP 1/8 G2 Lto-5 Ultrium 3000 Fibre Channel Tape Autoloader. Refurbished. 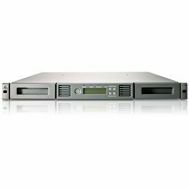 AK377B HP 6.4/12.8TB LTO4 Ultrium 1760 1DRV/8Slots G2 SAS RM Tape Autoloader.Refurbished. 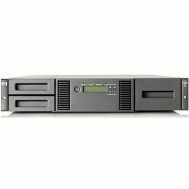 AH560A HP 19.2TB/38.4TB MSL4048 Storageworks Lto3 Ultrium920 4U Tape Library. Refurbished. 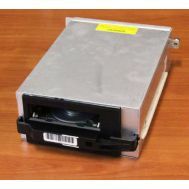 684884-001 HP Ultruim LTO-6 6650 SAS External. New Retail Factory Sealed With Full Manufacturer Warranty. 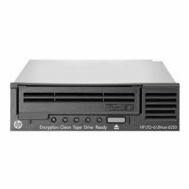 EH964A HP 2.5 / 6.25 TB Storeever Lto-6 Ultrium 6250 FH SAS 6 GBPS External Tape Drive. New Retail Factory Sealed With Full Manufacturer Warranty. 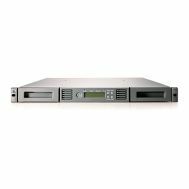 C0L99A HP 2.5TB / 6.25TB Storeever Lto 6 Ultrium 6250 Tape Drive IN 1U Rack Mount Kit. New Bulk Pack. 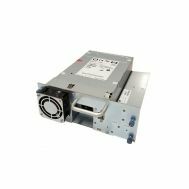 695109-001 HP 1.5TB / 3TB Storageworks MSL LTO-5 Ultrium 3280 FC Drive Upgrade Kit Tape Library Drive Module. New Retail Factory Sealed With Full Manufacturer Warranty. 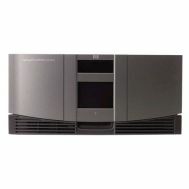 EH970A HP LTO-6 Ultrium 6250 6G SAS Drive External. New Retail Factory Sealed with Full Manufacturer Warranty. 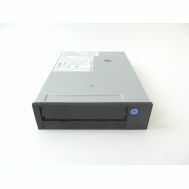 08L9457 IBM 100/200GB LTO-1 SCSI/LVD Internal Tape Drive. New Bulk Pack. 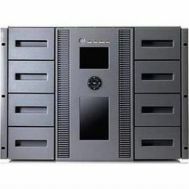 E7-L2SAE-YF-C Quantum 40TB/100TB Superloader 3 LTO-6 2U HH SAS 1DRV/16SLOTS RM Tape Autoloader. New Retail Factory Sealed with Full Manufacturer warranty. 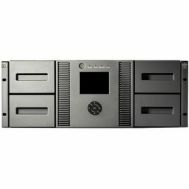 E7-L2SAE-YF-C Quantum 40TB/100TB Superloader 3 LTO-6 2U HH SAS 1DRV/16SLOTS RM Tape Autoloader. New Bulk Pack. 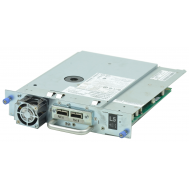 603880-001 HP 1.5TB / 3TB Storageworks MSL LTO-5 Ultrium 3280 FC Drive Upgrade Kit Tape Library Drive Module. New Retail Factory Sealed With Full Manufacturer Warranty. 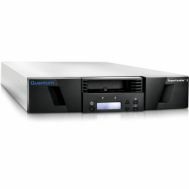 BL543A HP StorageWorks MSL4048 2 LTO-5 Ultrium 3000 Fibre Channel Tape Library. Refurbished. 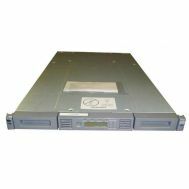 8242-3576 IBM 1.5TB/3TB Lto-5 FC Loader Module Tape Drive. Refurbished. BL536B HP 1/8 G2 LTO5 3000 SAS Autoloader. Refurbished. 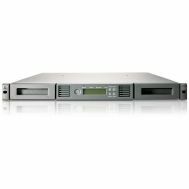 AH170A HP 9.6TB/19.2TB Storageworks Msl2024 2 Ultrium 920 Drive Tape Library. Refurbished. 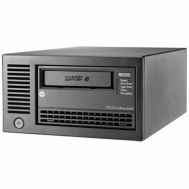 AG322A HP 19.2/38.4TB Msl4048 LTO3 960 FH 1dr/48slot SCSI LVD Hd68 4u RM BCR Tape Library. Refurbished. 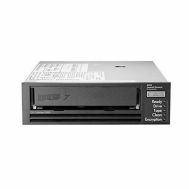 EH958B#ABA HP 1.5TB / 3TB Lto-5 Ultrium 3000 Sas HH External Tape Drive. New Sealed Spare. 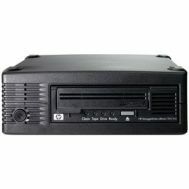 EH957B HP Lto5 Ultrium 3000 Sas Internal Tape Drive. New Retail Factory Sealed With Full Manufacturer Warranty. 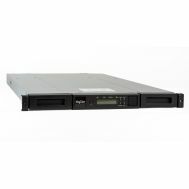 AG323A HP 19.2TB/38.4TB Msl4048 LTO3 Ultrium 960 Full Height LVD Rack-Mount Tape Library. Refurbished.